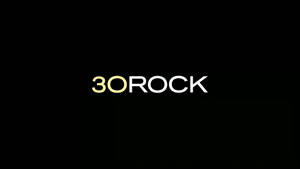 Quick Thoughts: 30 ROCK, "Alexis Goodlooking and the Case of the Missing Whisky"
In all reality, I shouldn't have liked this episode of 30 Rock since it had dominating storylines for both Jenna and Kenneth, but I found myself thinking that it was OK. Oddly enough, Liz's plotline was the one I didn't care for that much, but she's really not the one to blame. Like all of the characters on this show, Frank can be wildly hit or miss, and I usually prefer when he's doing his thing on the outskirts. One of the worst ideas that this show has come up with involved Frank and his affair with his former school teacher (played by Susan Sarandon). As you can tell, I'm not a fan, so the fact that her return was a major part of the episode made me instantly dislike everything about this subplot. Add to it the fact that Liz was only a bit player as the cliched "pretend girlfriend," and I immediately tuned out. I wasn't expecting to like Jenna and Tracy's bit as they played cops to figure out the mystery of Pete's missing whiskey, but it ended up working. Usually, 30 Rock works best when it's poking fun at the television/entertainment business, so having Jenna and Tracy riff on all of the worn-out, police detective tropes was fun. Finally, I was mostly indifferent about the Jack/Kenneth stuff. As always, my tolerance for Kenneth's pretty low, but I didn't find him overly obnoxious this time around, and I credit Jack. Other than a few decent jokes, this one didn't offer too much, but it wasn't a trainwreck either, so there's that.